Many pests are still active – Some pests are dormant during cold weather, and don’t become active until it is warm. Other pests remain active during winter, including mice, ants, spiders, and roaches. 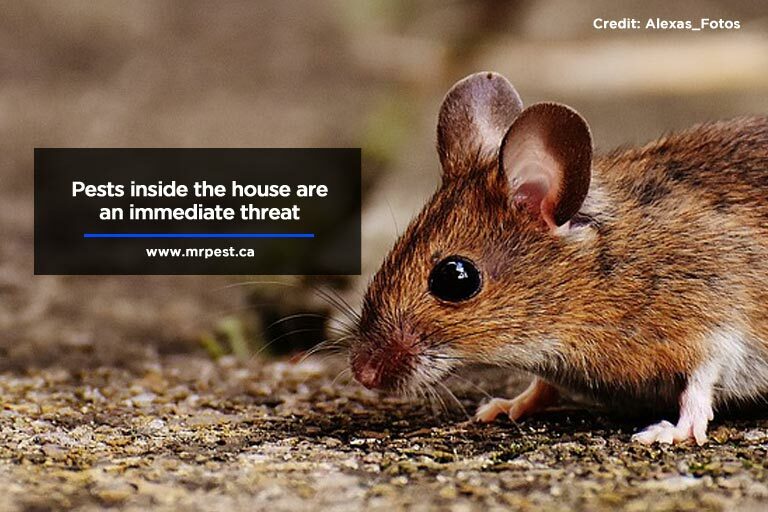 Indeed, mice flee into houses during fall, to avoid the colder weather. Several areas around the house can be good shelters, including attics and basements. These places can become breeding grounds come springtime. Once the weather warms again, they can emerge and become a major problem. Checkups can reveal pest-related issues – Rats and mice can cause significant damage around the house. They chew electrical wires, which can cause electrical issues, or in extreme cases create a fire hazard. Rodents and raccoons that set up shop in the attic often chew up insulation to make their nests. Their nesting damages your heating efficiency, allowing more heat to escape through your roof. Monitor your electrical and heating bills; a dramatic increase could indicate pest-related damage. It’s a more convenient time, and may save you money – The advent of is often a busy time for homeowners, with home cleaning and all its associated chores. 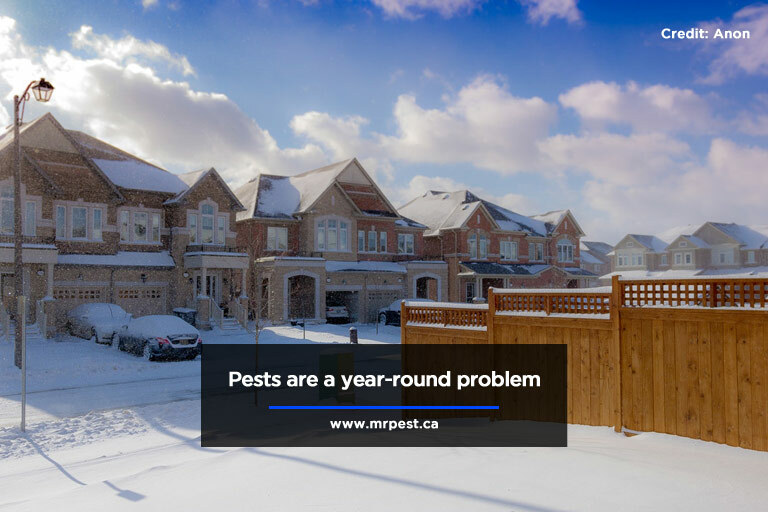 Winter can be comparatively restful, making it a good time to call pest control for an inspection. Booking mice and rat control during the off-season may even help you save money. It keeps the house warmer – Pests (especially rodents) often enter your home through cracks. Cracks also let heat escape and make your heating much less efficient. 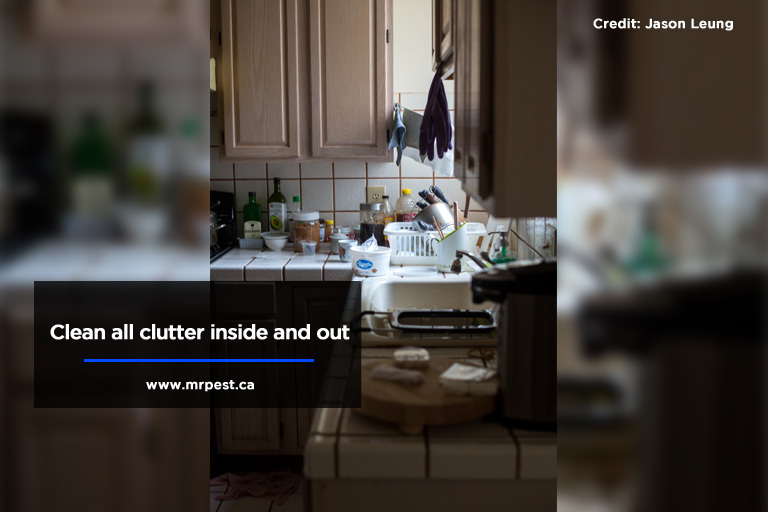 Pest control can help you locate these points of entry; and once located, you can reseal them, keeping the rats and mice out, and the warmth in. If you had pests infesting your attic, repair or upgrade the insulation damaged by nesting once the pests are removed. It’s healthier for you – Many pests are vectors for disease, both directly and indirectly. Dried rodent droppings, for example, can break into dust-sized particles which can become airborne, spreading germs throughout the house. An animal may die in a chimney or crawl space; and when it gets warm outside again, they can start decomposing, producing foul odours and increasing the chance of infection. Have any and all pests removed early to make the house a safer environment for your family. Pests are usually bigger threats that they look – Pests often don’t come singly, but in battalions. Once one pest finds a way inside, more will likely follow. Rats are a particular offender, with high numbers across Ontario. Call for pest control services to nip any infestation in the bud before the pests have time to multiply. During winter, you’ll most likely want to stay indoors and keep warm by the fire, with a hot cocoa or eggnog. Pests have the same idea. However, homeowners aren’t defenceless against infestation. Here are some ways you can pest-proof your home for the winter. 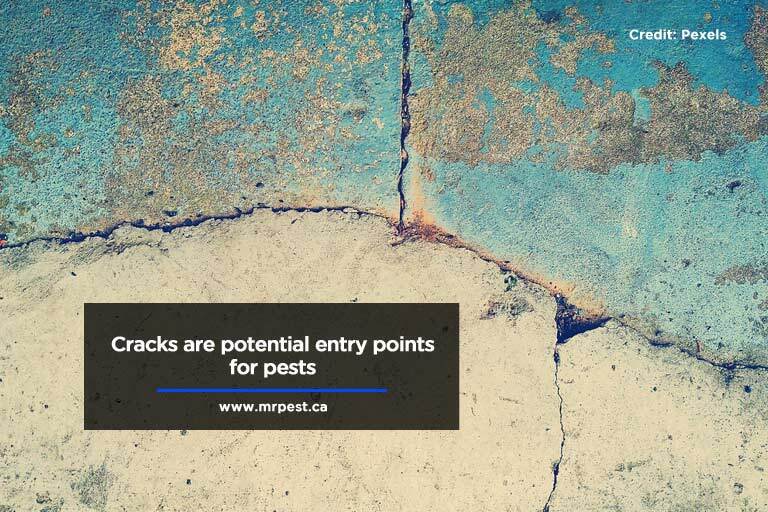 Perform an inspection – Your first step is to identify vulnerable entry points for pests to enter your home. Work closely with pest control services to find danger signs (e.g. cracks and overgrown vegetation). Use this as an opportunity to perform any much-needed repairs to the house. You can also get some helpful advice to shore up your defences and avoid future infestations. Seal all cracks – If you find any cracks around the house, seal them immediately. Many pests (rodents in particular) can squeeze themselves through small cracks. Ask your pest control service if you have any questions. They can point you toward contractors who can help with your repairs. Recaulk all the doors and windows where necessary, and replace broken screens to give the house more barriers. Consider installing storm windows. Storm windows provide more protection against infestation, and will also improve heat retention for lower energy costs. Install a brush strip – Another way to keep out pests is installing a brush strip on all your exterior doors. The strip blocks off the small gap at the bottom, which can be an entry point for pests. You can install brush strips fairly easily. Coordinate with pest control to get more optimal results and better protection. Sealing the gaps also prevents heat from escaping, further improving your energy efficiency. Manage vegetation – Landscaping can contribute to the possibility of infestations. Rats in particular nest in shrubbery, and use it as a stepping stone into the house. That’s especially true if the bushes are close enough to touch the house’s exterior. They can also use overhanging branches to reach your roof and climb inside. 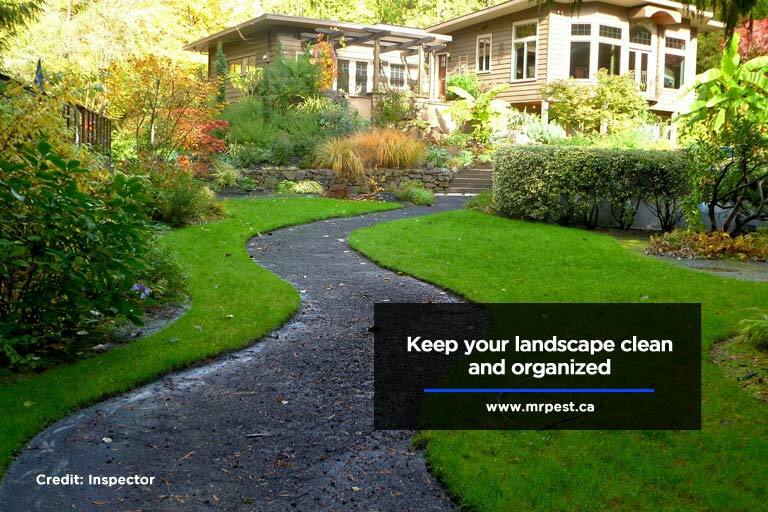 Get a pest control technician’s to analyze your landscaping from a pest’s point of view. Once you identify trouble spots, tidy up the landscaping to give pests fewer hiding places and access points. Remove existing pests – Any pests in the house have already breached the defences. Any preventive measures to keep pests out won’t do any good against pests that are already inside. Have pest control do a sweep inside the house and remove pests. Winter might be a relatively calm time when it comes to pest activity, but pests can still be surprisingly active. Stay vigilant to keep them from overrunning the house and becoming a threat. Take advantage of the season to remove pests more easily. Dealing with an infestation now can save you trouble, and money, than dealing with them in springtime when they are more active. When you need professional advice to help you with pest problems, trust the experts. 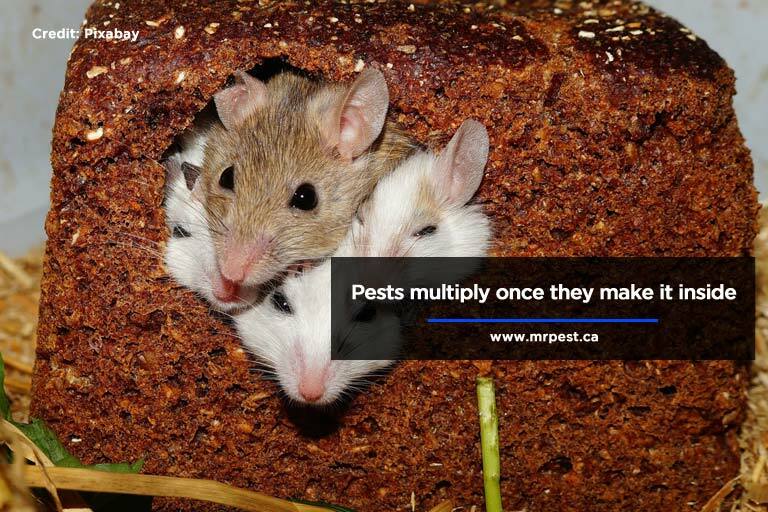 For quality pest control service in the Greater Golden Horseshoe, contact Mr. Pest Control. At Mr. Pest Control, we pride ourselves on reliable and consistent service for our clients. We use the latest tools and techniques to maximize effectiveness at eliminating pests. Our technicians are all college-trained in Environmental Pest Management. Call us for a free estimate at (705) 739-7378 for Barrie, Simcoe County, and Midland. Residents of Orillia can reach us at (705) 326-3377. Our phone lines are open 24 hours a day, seven days a week.